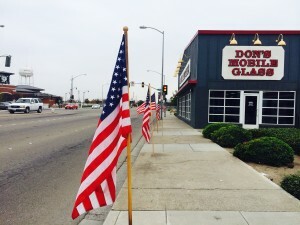 Our own Kim Wellman was out at 3:45 this morning helping put up flags in downtown Manteca with the Sunrisers Kiwanis club. It was paying it forward at it's best! Kim noted how amazing it was that so many people came out to help. Happy Veterans Day to all, and thank you to all the men and women that have served or are serving now !